In processing digital pictures, an image is often built up using a number of layers in software such as Photoshop. 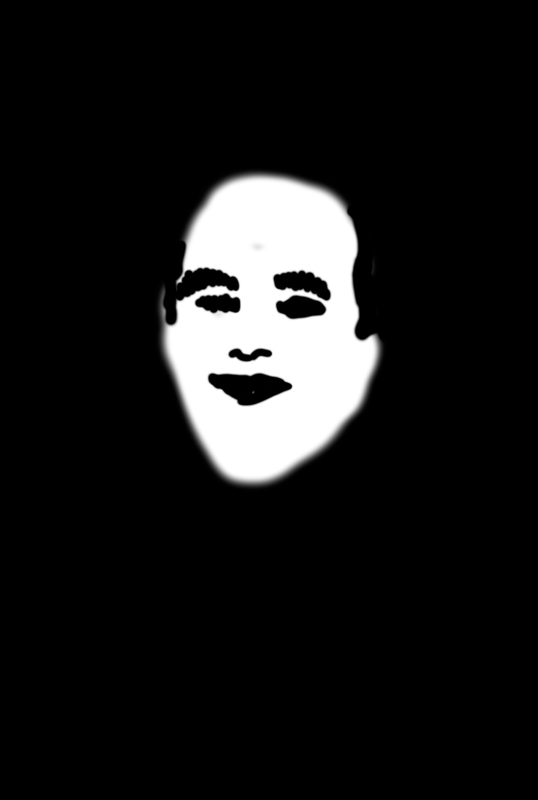 These masks are a Photoshop layer which ordinarily would not be the top layer; a different (but equally integral) component of the final image is allowed to be the surface. The extraction and foregrounding of a different aspect of an object fundamentally changes the nature of the object. These are ‘found’ unaltered by-products reclaimed from my fine-art portraits, and commercial work. From each ‘classical’ portrait I take, I pluck one or several masks, almost like hidden dark sides, in parallel to the portraits. Some of these have been exhibited both as part of the Contemporary Photography Now exhibition, at Surface Gallery, Nottingham, and Pronoia in London.